IVR technology is a proven and reliable method of delivering exact content and guides your client to the exact solution they require. Odyssey’s IVR solution can be integrated with your existing application or technology with our simple to use API. Like EMAIL, SMS, FAX and other proven channels, VOICE provides close communication for prospecting or retaining customers. Voice messages allow you to create real proximity and interaction with your recipients, as the human voice is simply more personable. Thanks to human voice, Voice messages have the highest impact among all the other communication channels. 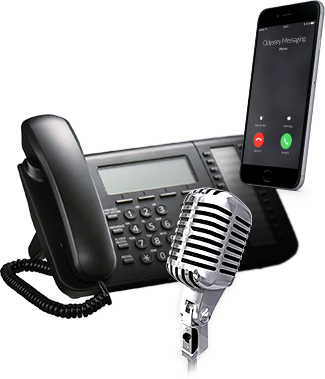 Voice messages are quickly sent in real time for single and bulk message sends. Voice messages allow you to collect your recipient’s responses by their pressing specific buttons, set up for each multiple choice question, and reporting back specific replies according to their responses.